The names Kingsbury Run and Walworth Run denote decayed Cleveland landscapes. In 1820, nevertheless, such areas sustained the city’s growth. Spring-fed streams gave clean water for drinking, brewing, refining and slaughtering. Yet as they also received noxious wastes from those activities, the runs became fouled. 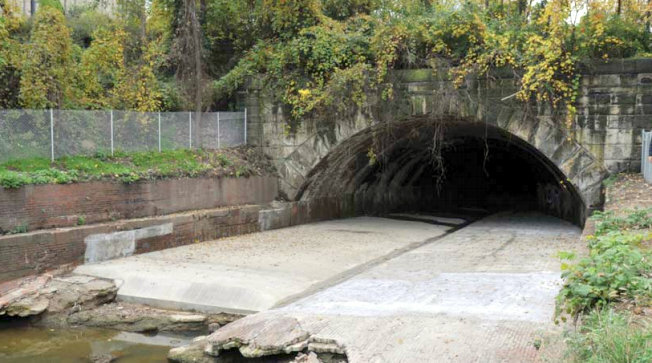 By 1900, all of Cleveland’s small waterways were buried as sewers and forgotten. Now, even as Lake Erie and the Cuyahoga River are improved, the runs languish. 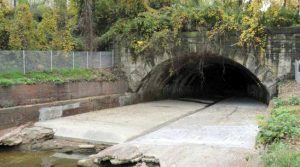 The tour, lead by Roy Larick, Bluestone Heights, explores the city’s hidden waterways with an eye to history and restoration. We will consider the means to re-balance natural and human demands for our place. This event is co-sponsored by the WRHS Cleveland History Center, Baker-Nord Center for the Humanities and Cleveland Water. This is a ticketed event. Click HERE to purchase tickets.